Hugo Pepper was rescued from polar bears and left in the care of Harvi and Sarvi Runter Tun-Tun, when he was still a baby. The reindeer hearders loved him and gave him a good home, but when he was older Hugo felt he had to find out where he came from. Following the directions of the Compass of the Heart, Hugo finds himself in Firefly Square, a part of Harbour Heights where only a few residents still remain. In amongst the intriguing characters of Firefly Square Hugo finds out all about his family, as well as so many other wonderful stories. When he discovers that someone is trying to get his new friends thrown out of their homes, he decides to do what he can to help them. In the process he finds family and solves a mystery generations old. 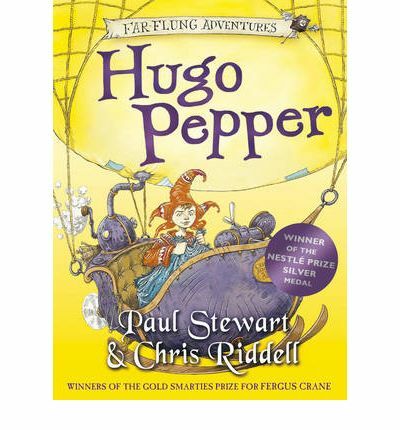 The story of Hugo Pepper is a charming and quirky tale from the masters of odd inventions and abstract moments. You might think the style in which the story is told – chapters and snippets of other characters lives thrown in between the chapters of Hugo’s story – would seem disjointed, but somehow it works. This pair of storytellers work very well together. Riddell’s distinct illustrations fit so perfectly with Stewart’s text. 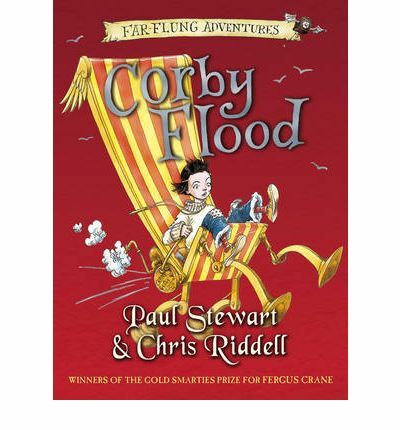 This book, like Corby Flood, is one of the Far Flung Adventures series and was the recipient of the Nestle Prize Silver Medal. I have to say it is deserving of it. 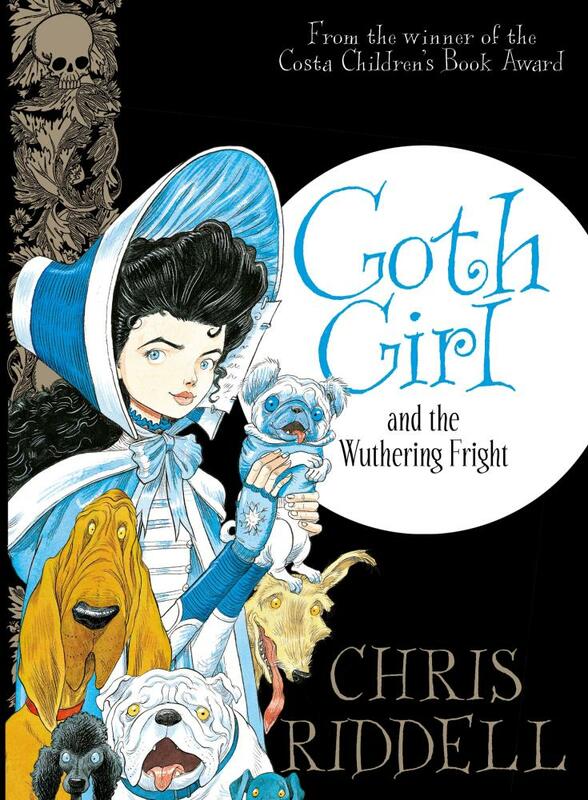 It’s a fun and silly read that is bound to intrigue a younger reader and hopefully continue in them a passion for exploring the wondrous lands books can show us. Corby Flood is with her family on board the SS Euphonia. Her father has just suffered a great disappointment and now the family are moving to Harbour Heights. There aren’t many traveling on the ship as she is mostly a cargo vessel, long removed from her glory days as a luxury liner. Corby’s family are joined by the Hattenswiller’s, five members of the Brotherhood of the Clowns, the strange man from cabin 21, and the crew – the captain, Arthur and Jon-Jolyon. Corby wishes the Euphonia would stop so she could explore some of the remarkable things she had read about. Things are not so boring on board though as there is the traditional Halfway There Ceremony, the creepy brotherhood to avoid and the need to find out just what is singing the sad song she can hear. Corby Flood is a delightful, inquisitive girl who appears to observe much more than those around her. 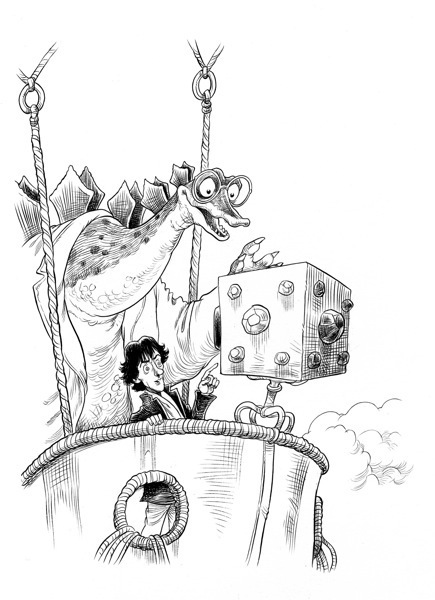 This is a fun story full of silliness and strange inventions. There are creepy, horrible bad guys, and a slimy wanna be boyfriend for Corby’s sister, and her boisterous siblings. The style of this story can be summed up in two words; abstract and fun. The text, while filled with some actions and concepts that are a little strange (by which I mean not normal in an average day for most people – I dare not say for everyone), is easy to understand. 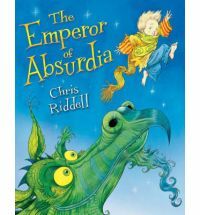 The illustrations, in Riddell’s distinctive style, complement the story, adding to it’s joyousness. 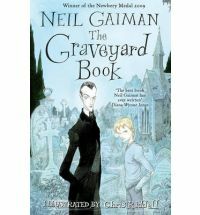 This book is a wonderful choice for a reader at the top end of the 4-9 and younger end of the 8-12 reading range. It is an entertaining read with a nice touch of mystery. 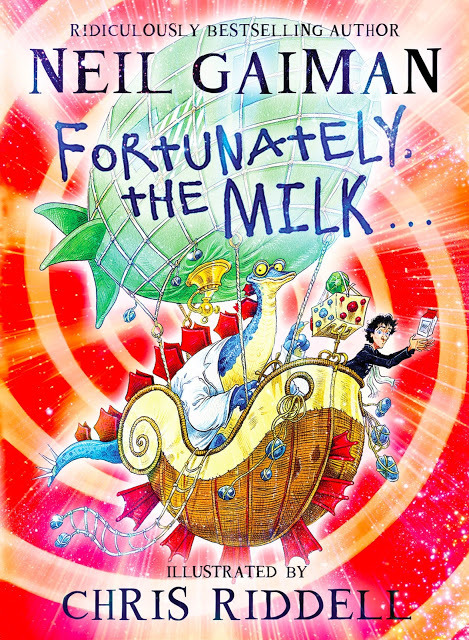 It is an award winning book (winner of the Nestle Prize Silver Award) for a reason and is part of the loosely connected series titled the Far Flung Adventures.